Running shoes can make or break your run, therefore it’s important to take a more critical look at what shoe best fits your needs. This holds true when you refuse to let your running routine be delayed by cold weather conditions, including ice and snow. In the end, you’ll need to rely on a pair of shoes that can keep up with whatever the weather throws your way. 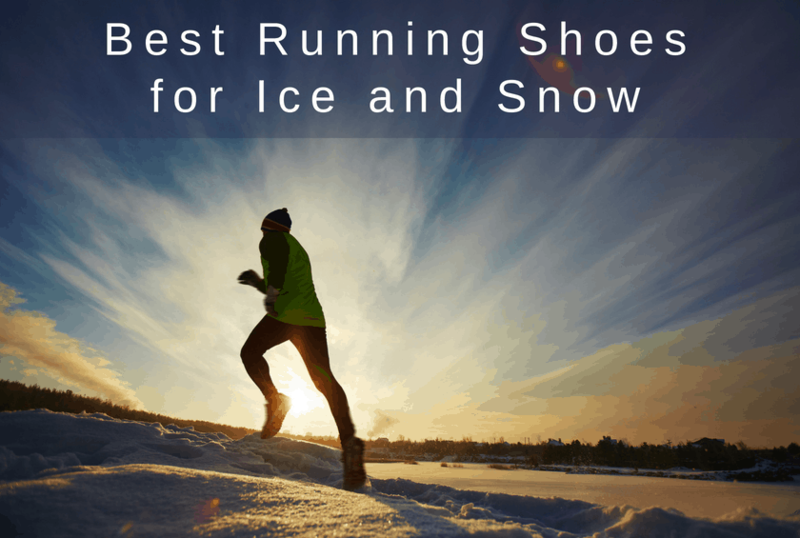 To help you avoid spending hours researching what shoe fits your lifestyle, we’ve compiled a list of the best running shoes that tackle ice and snow, while highlighting the qualities of each brand that will give you the best start. Modeled after the popular Brooks Ghost 11, the GTX version is made for wearing in wet and sloppy conditions. These shoes guarantee to keep your feet dry by using a Gore-Tex membrane that protects your feet from water without restricting air circulation; an important feature if you’re going to be running in wet, icy and chilly conditions. The foam material contours to the shape of your underfoot thanks to the integration of BioMoGo DNA and DNA Loft foam. These types of foam in the midsole provide support and cushioning. New DNA Loft foam is a more durable material that should last longer than earlier versions of the shoe. Two rubber compounds comprise the outsole, both thick enough to protect the shoes from more aggressive wear and tear. This extends their use far longer than shoes of most other brands. The outsole provides added cushioning but also delivers a notable thickness for a movement-friendly experience. As the name indicates, this shoe is waterproof thanks to its unique ON Membrane. This is flexible material is rated at the highest grade of waterproofing while still allowing for airflow througout the upper. The toe box is spacious enough to handle toe-splaying during runs and is capped with a protective shield to prevented jammed toes if you accidentally kick something mid-run. The ON Cloudventure is equipped with a grip-rubber technology that’s durable. Its traction patterns provide the runner with control on any surface. The midsole is cushioned by a system of 11 pods known as ‘Intelligent CloudTec’. They deliver responsive cushioning, help to carry the foot and allow you to adapt quickly to the shoe without needing to break them in. 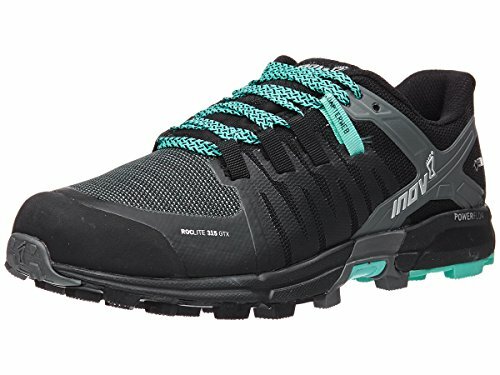 The Inov-8 Roclite 315 GTX is another trail shoe that uses a protected toe box and a Gore-Tex barrier to keep out water and snow while you run. 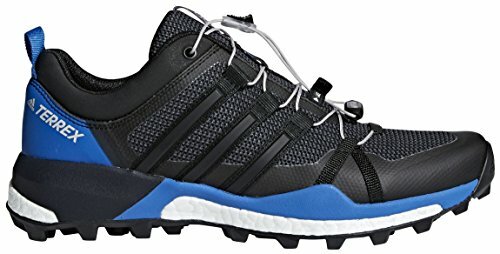 This shoe provides some of the best stability in its line, with multi-directional claw-shaped cleats for excellent grip in slippery conditions. This shoe sits low, with only an 8mm heel-to-toe drop to provide a more natural running style. If your gait feels more energized, it’s thanks to the midsole. PowerFlow foam redirects impact shock to propel you forward faster. 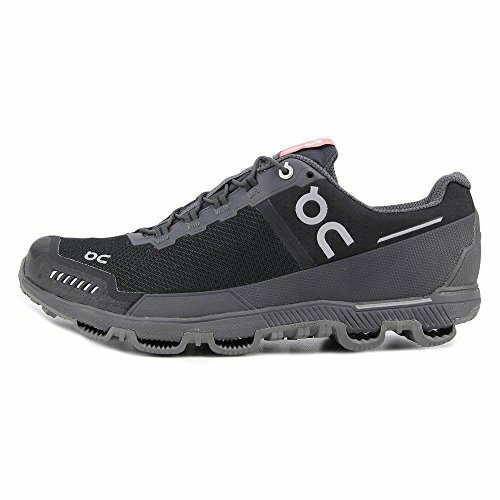 The Roclite 315 GTX also features Meta-Shock, a five-pronged unit that reduces fatigue by supporting the metatarsals. The Salomon Speedcross 4 CS is among Salomon’s top three ‘Best Running Shoes’. 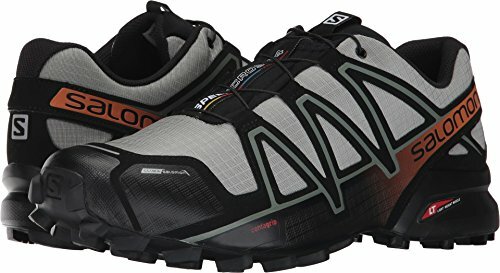 Its combination of Clima-Shield (Salomon’s patented waterproofing) and unique tongue design keep out all forms of weather and debris. Clima-Shield is unique is that it keeps your feet dry in the front. But allows for better breathability near the heel and back of the shoe where waterproofing is less important. Your feet will feel like they’re walking on clouds with Salomon’s injected EVA compound in the midsole, which ensures that your run will be comfortable and responsive when you need it to be. Its underfoot cushioning gives reliable support and comfort. Salomon’s installed Contragrip in its outsole. This provides a remarkable grip on wet, slippery surfaces. The 5mm lugs on the outsole are evenly spaced, designed to take on damp and technical terrain efficiently. They work best in snow, mud, and other soft types of ground. They don’t do as well on ice, pavement, or other hard surfaces. Altra brings in another great shoe that looks good and feels great! 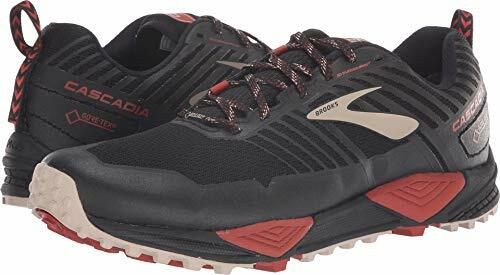 This waterproof version of their bestselling Lone Peak trail shoe features Altra’s foot-shaped toebox, zero-drop design, and traction in wet and nasty conditions. Like the Speedcross above, this shoe employs an EVA compound in the midsole for cushioning. Altra added a Stone Guard for extra protection against rocks, roots, and ice chunks. There’s a zero drop between the heel and toe, which allows for a natural running stride. The insole shape supports the metatarsals in your feet, allowing them to spread out as if you weren’t wearing shoes. This shoe’s TrailClaw outsole provides enhanced traction in a variety of conditions. To add to the shoes’ resilience, Altra added an abrasion-resistant mesh that protects the shoe from snow and water but still allows for good ventilation. If you’re seeking a shoe that works best in wet or snowy conditions then look no further than the Peregrine 8 ICE+ as an update of the Peregrine 8. Saucony uses patented Vibram rubber in the outersole to provide excellent traction on ice and snow. In the upper, Saucony’s signature FlexShell is used to provide water-resistance. While its internal lining increases air circulation. Just be aware that this shoe is more water-resistant than waterproof. It does allow water in during extended runs or extremely wet and sloppy conditions. The midsole consists of Saucony’s SuperLite Ethylene-Vinyl Acetate (SSL EVA) foam. 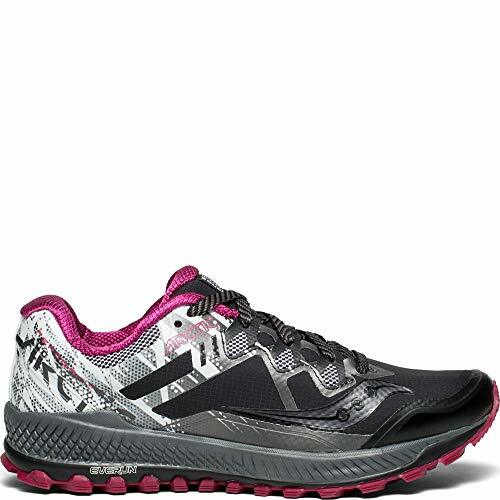 This provides firm cushioning while energizing each stride. Even though other brands use EVA technology in their midsoles, Saucony claims its SSL technology extends the life of the EVA material. Saucony equipped this shoe’s outsole with Arctic Grip, an advanced gripping system for cold conditions, and IceTrek, which offers flexibility and enhanced traction in ice and snow. Combined, these enhancements help the outsole cling to icy surfaces (without using metal spikes), while keeping the shoe light enough for long-distance running. When it comes to great running shoes, many would not be surprised that Adidas made the shortlist. This shoe uses a Gore-Tex lining to protect your feet from cold and wet conditions. Furthermore, Adidas implemented abrasion-resistant overlays to give the upper shoe resistance to trail debris and other damage. If you wear gloves on your runs, you won’t have to worry about your laces becoming a hassle. The Skychaser GTX uses a locking mechanism to keep its laces in place: you only have to adjust them once before you go on your run. This shoe’s outsole is outfitted with a high-quality rubber. This gives it a protective layer against general trail debris. Combined with gripping lugs for stability and traction, you can remain confident even on softer ground and down hills. Swedish company Icebug is known for their high-traction running and walking shoes. Its ‘Distance Training Shoe’ DTS4 is advertised to work well on any terrain and in any weather conditions. These shoes have optional Icebug-branded insoles equipped with Arch Flex System technology for a great fit no matter your foot type. The midsoles have EVA and ESS stabilizer foam that extends energy and comfort throughout your run, with minimal impact on your feet. Gore-Tex membrane in the upper provide weather protection, keeping your feet dry and ventilated. Furthermore, the DTS4 comes with Icebug’s patented BUGrip. BUGrip combines a patented rubber, no-slip compound with steel spikes for added traction. Icebug claims that its grips are so efficient that runners won’t have to change stride or gait to compensate for changes in surface conditions. All-terrain grips make winter running easy. Accommodates most foot sizes and shapes. Utilizes EVA and ESS foam for stability and comfort. In the Cascadia 13 GTX, a Gore-Tex upper is combined with a tight-knit mesh to keep water and debris at bay, while accommodating airflow for better ventilation. This shoe provides a secure fit with the addition of a saddle to the mid-foot section, allowing for a better, more custom fit while lacing up the shoes. The Brooks Cascadia uses three types midsole foam, the main being the BioMoGo DNA, which adapts to the wearer’s foot to maximize comfort. On top of this core feature, Brooks added support with its Pivot Point System. The PPS consists of pillars that sit along the midsole perimeter to help balance and stabilize the foot when running on unsteady ground. This shoe also delivers skid-resistance on dry and wet surfaces with gripping lugs for secure footing on more difficult terrain. 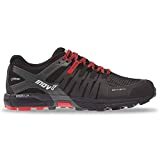 While this Salomon shoe also uses Contragrip technology, it’s capable of withstanding unpredictable ground with low-lying, evenly spaced lugs that keep debris out of the sole as you run. 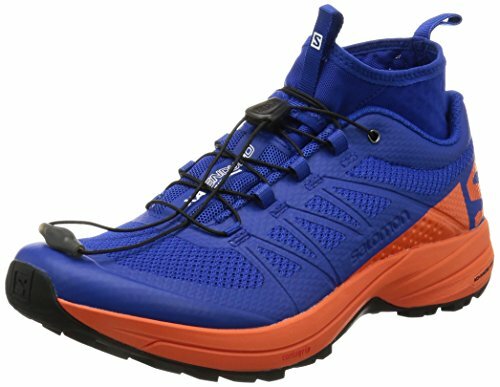 Salomon employed a light, yet comfortable, dual-density EVA foam with a molded EVA sock liner for added cushioning and comfort. In its advanced heel chassis, the XA Enduro offers a stable platform for proper foot movement throughout the gait cycle. The upper is made from an open mesh that gives excellent ventilation to your feet and is quick-drying. Stretch gaiters help to keep out trail debris. If you need to run outside during the winter on ice and snow, you want to make sure that your shoes provide the protection you need against the obstacle course that you’ll face of frozen surfaces and unexpected snow banks. It’s important for the upper to be waterproof because this translates to dry feet. And your choice of waterproofing may vary based on what you’re likely to be running in. For example, Gore-Tex is great for snow and ice as well as a light drizzle and just generally cold and grey weather. However, if you expect to be sloshing through puddles or dealing with extreme downpours, a quick-drying shoe with a mesh upper is going to be better than Gore-Tex because it will dry out faster and leave your feet more comfortable. Depending on the conditions outside, you might want different types of traction. However, it should go without saying that good traction is essential in winter running shoes. If you’ll be running on ice, studs and spikes are going to provide the best traction, and you can find shoes with microspikes built into them. Unique rubber like you see in Ice Bugs Shoes or Saucony Peregrine ICE+ is helpful for running on wet surfaces, while large, multidirectional lugs are good for muddy trails. Is there anything I can use for added traction? Yes! You can purchase microspikes or nanospikes to attach to the bottom of your shoes. These rubber spikes stretch over your shoes for a secure fit. While they take a little time to get on and off, the fact that they are removable means you can use them as needed. Bring them in your pack for icy sections, then take them off if the conditions improve. There are also kits that allow you to screw spikes into the rubber on the soles of your shoes. In fact, by studding your own shoes with hex-head sheet metal screws, you can spend a lot less on safe winter running shoes than having to go out and buy cleats. According to a staffer at Skinny Raven Sports in Anchorage, Alaska, studs are necessary for any situation where you’re going to encounter snow and ice even if it’s a “just in case.” They’ll especially help you with black ice. What are some safety tips for running in snow and ice? Obviously, you’ll want to be more cautious running in snow and ice. Take it slow, especially when you’re going downhill and uphill. Remember to take short steps—shorter strides are more conducive to better running form anyway!—and stay light on your feet. Always be looking for parts of the trail or road with a layer of snow so that you’ll have better traction.